Heroes of the Soviet film “it happened in Penkovo” at lunchtime dreamed that in the future the tractors will do: to plow, harrow, sow, harvest. Technique of those fantasies were like tents or alien space ships. And if with the appearance the filmmakers made a mistake, that the functionality of predicted true. All leading agricultural machinery manufacturers are actively engaged in the development, allowing the tractors and the combines independently, without human intervention to determine the soil moisture the necessity of fertilizing , plowing depth, the possibility of harvest, etc. will tractor in the near future obsolete profession popular only in the most backward farms? You do not have in the near future of programmes of educational institutions to take training courses, tractor and rural residents to learn methods of working with high-precision technology, which can be controlled with the joystick with the edge of the field? GPS. This abbreviation has long ceased to be only a combination of letters of Latin alphabet. On the basis of data received from GPS satellites, are drawn up the road map work navigation. And that GPS will soon become the basis for the operation of tractors and harvesters. In the most daring developments in the technique already mounted sensors to help navigate by the stars and satellites. Upon reaching the edge of the field or other obstacle, the tractor automatically expanded and continues its work. Human involvement is minimal.You can spend less time on driving and focus more on core – fertilizing, harrowing, seeding, etc. Up to this time experiments with movement on the Navigator are conducted not only with GPS. The Europeans are actively pursuing their system Galileo, and in Russia, give preference to domestic the development of Glonass. The signal and possibly via radio, and mobile. Important: it is necessary to expand considerably the network of base stations, course-correcting when leaving the satellite in the Earth’s shadow or deviation from the original orbit. Not less important than the adjustment travel of the tractor or combine when it reaches the field boundary, it seems to work on the land with slope. In the standard situation, the speed adjusts tractor. And, if it is not? To the aid also comes GPS and gyroscope, required on each machine. Data is processed onboard computer, and the signal is transmitted to the stabilizing levers. This will prevent tipping of the tractor. Not affected neither the depth of plowing, no planting of seeds. All parameters are monitored in automatic mode. Of no less interest is the work of attachment when performing manoeuvres: turn, a detour of obstacles, working on slopes. In the most successful experiments onboard computer not only disables the and sprinklers, but also folds them, making sure that the reversal will not damage the equipment or don’t waste materials unnecessarily. Possible organization of work for the part of the nozzles for fertilizer or seeds in the soil when it reaches the edge of the field. In most cases in modern technology managed to block one wing of the drill or other attachments. 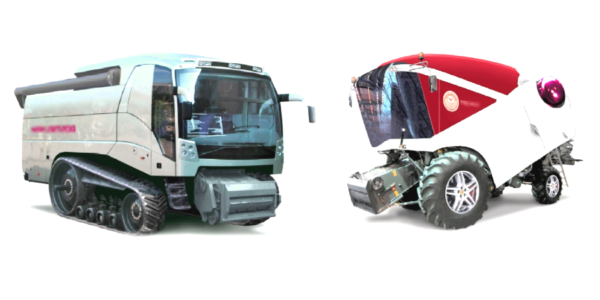 New possibilities of farm machinery: the tractor is no longer needed? The use of GPS technology allows you to navigate relative to the edge of the field and make u-turns without human intervention. Does this mean that tomorrow all combine and tractor can be sent on a holiday or retraining? Will there be fields to plow convoy of vehicles without any human intervention? In the coming years, the answer will be negative. The onboard computer receives from the satellites information about the edge of a field or other large obstacle and take steps to its detour. But, what if on the field formed a gully after recent rains or the field is broken the night hail? The satellite can’t see it but the computer will not be able to respond adequately. What to do if the field will be another car obstructing traffic? The tractor will take it as a signal to turn? Or keep moving forward? Work is being done in this direction. 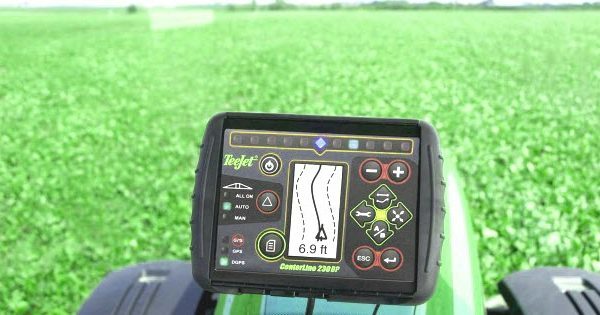 John Deere equips harvesters for harvesting corn with special sensors that control the width. If the Reaper gets fewer rows than it is regulated, a signal to the computer. Further information is analyzed: whether the edge of the field, or rows of plants perished. If the latter option, changing the nature of the harvest. Interested farmers and determination of crop yield. The combiner may be interested in how fast we can finish the job on the field. But special sensors will not allow him to operate the machine at full load. If the yield exceeds the pre-defined criteria, the speed of movement of the machine will automatically go down. This will avoid premature wear and transmission repair and engine. In addition, a person – not a robot. He may be tired, sick, at dusk to see down the wheat too thick or thinned the ranks. In this situation, self-loading wagons just need. The travel speed, the feeding is handled automatically. But at the current time fully automatic systems determining without human intervention the constraints of the rolls, down the rows, does not exist. Settings processor and the onboard computer is still working. Artificial intelligence has not yet become the basis of agriculture. The optimization of samoigrayuschy systems are actively conducted by many agricultural machinery manufacturers, but until the full completion is still far. Meanwhile, the basis of all experiments is put fuzzy logic on the basis of the sensor data are compared with the nearest roll size maximum allowable dimensions permitted for conveyor or hopper. If the size is acceptable, the speed is not reduced. If roll is greater than the machine can adopt single cycle, the processor stops for a more thorough treatment. Weeds – the main enemy of any farmers along with field rodents. If previously the struggle was waged mainly by hand – using chopper, it is now possible to use high technologies. The sprinklers fertilizer, in this case poisons are fitted with special sensors that help to distinguish crop plants from weed. The information is supplied to the onboard computer, and the poison made the whole furrow or row, and purposefully for a specific plant. This will help to avoid unnecessary loss of grain or forage crops. Agriculture is a constant hard work. Fields to plow, harrow. Plants need weeding, watering. All work should be carried out not when you want, and when it is needed. wheat after the harvest in the bunker harvester is sorted by quality. This facilitates further work on the Elevator and allows you to sell the crop at a higher price. Does all of the above that agriculture in the near future will become a field of activity only robots and combiners will have to get an education programmers? Of course not. New machinery will be able to navigate the edges of the field, will help in weed control and by sorting of the harvest. But no computer will be able to pull out of the harvester stuck stone or quickly replace bearing if necessary. Among the most advanced – all of the harvesters working in the field under the control of one person. He checks the work of each, makes decisions in the event of a breakdown or other emergency situation. 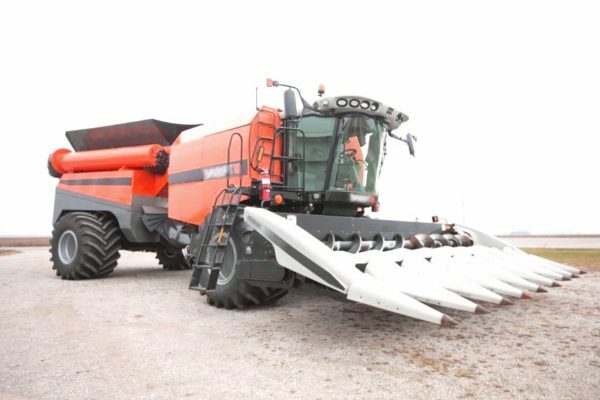 But, what if emergency happens simultaneously on multiple machines, and a large field to run on it from the combine to the combine? From all this we can conclude that educated people are necessary always and everywhere. But without the usual tractor and combine operators, the village will not do for many, many years.